Now this is funny, things are happening around the world! A 23-year old girl, Katie Kropas who complained of lower back pains and was taken to the hospital suddenly found out she had been pregnant for 9 months. 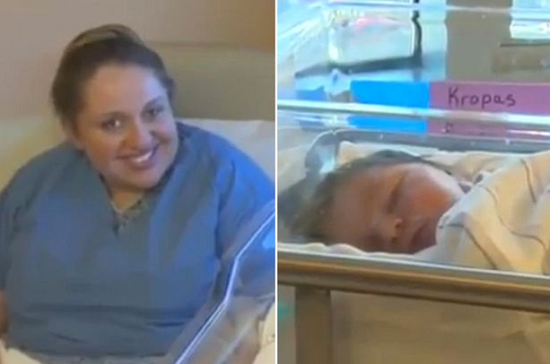 As if the news wasn’t shocking enough, Katie gave birth to a baby an hour later. She gave birth to a healthy 10lb, two ounce baby girl. But Katie swore to news men and doctors that she never knew she was pregnant all along.